Batteur et chanteur Rockabilly US né le 21 Avril 1936 à Goodwin (Arkansas). 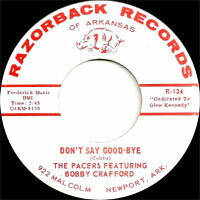 Bobby Crafford a débuté comme batteur dans le groupe de Sonny Burgess, les "Pacers". 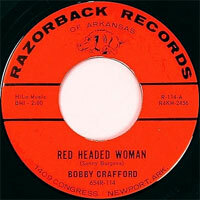 Au début des années soixante, il fonde son propre label, Razorback Records sur lequel il a enregistré quelques singles. Il a aussi enregistré chez Vaden, Dot et Lake Country Records. 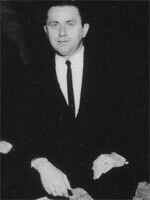 US Rock 'n' Roll drummer and singer born 21 April 1936 in Goodwin (Arkansas). 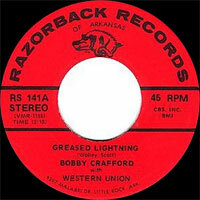 Bobby Crafford still has his first snare drum, the one he played when he recorded early Rockabilly songs for Sun Records in Memphis, TN. 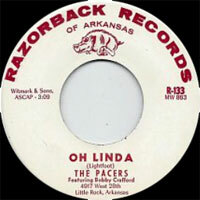 In 1957 he joined the Pacers, the band behind Sonny Burgess. Being part of the roots of rock and roll has always been a source of pride for him. 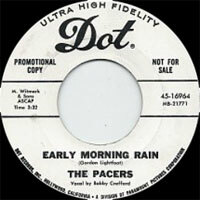 Sonny split up the group to open a music retail store and raise his family, after 20 years he called Bobby and the rest of the Pacers asking if they wanted to go on the road. “I was thrilled and was packing before I hung up the phone.” Bobby played drums and was the booking manager for the group; in fact it was Bobby who set up their now famous tour of Europe in the 1980s. You Ask for It / ?